Might of the Work Force was made by Devin Field in 2005. 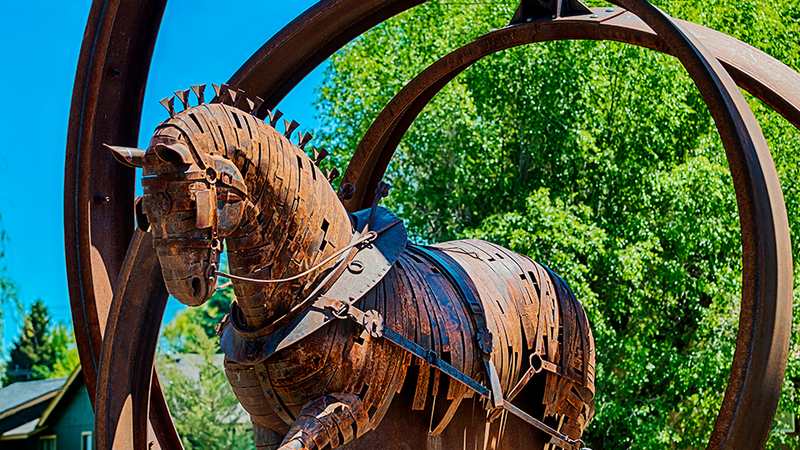 Reconstructed in 2007 after a driver treated the roundabout as a straightabout, this piece highlights the role of draft horses in Bend’s early timber history. Many of Field’s pieces explore the evolution of the “complex relationship between the built envrionment and the natural world.” He’s also responsible for Milky Way on the Roundabout Art Route.